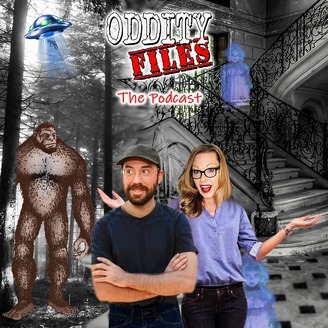 From the hit Amazon Prime series Oddity Files, paranormal investigators Kitsie Duncan and Clayton Abbott tell the tales of all things creepy, cryptid, and otherworldly . Join them in searching for the scariest stories about hauntings, monsters, urban legends, curses, aliens and the stories you never knew you wanted to know more about. This award winning podcast also brings you celebrity ghost stories. This episode is dedicated to Lorraine Warren. Thank you for your dedication to the paranormal. 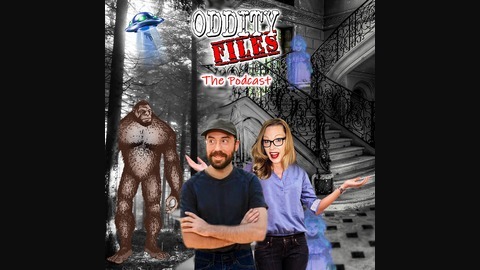 Get your drinks ready, because Oddity Files: The Podcast turns 21! (...weeks.) This week, Clayton covers the mythical Thunderbird, and Kitsie reveals the lesser-known hobby of famed inventors Thomas Edison and Nikola Tesla--communicating to the otherworldly. PLUS, some bone-chilling tales from WWE Superstar, Paige!